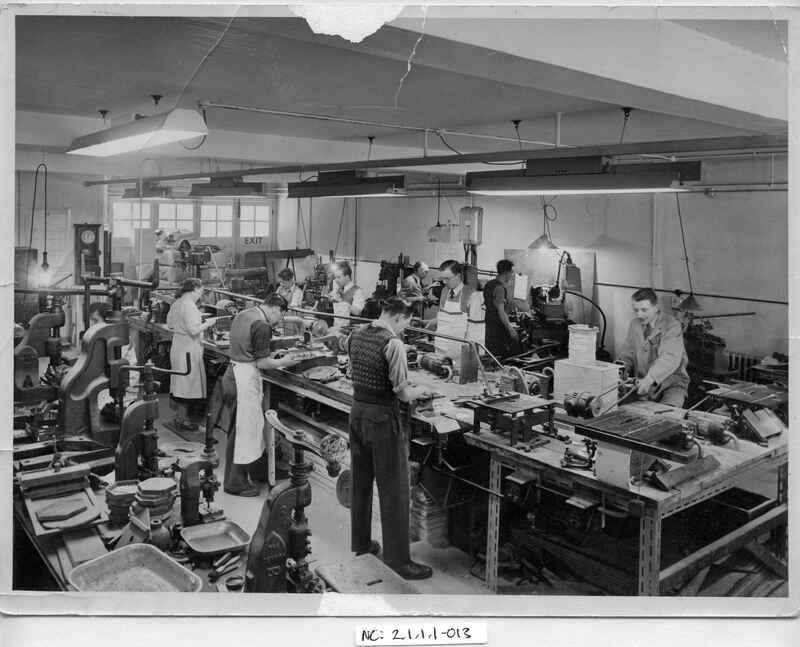 Full Description: A professional photograph of the Wheatstone and Co main machine shop, probably at Duncan Terrace. The rear bears the photographer's details - 'Harvey Johns, Chalcot Road, NW1', and a label reads: 'A view of the machine shop in the concertina factory in London. Much of the initial sawing up and preparing is carried out here, before the parts are passed to craftsmen for hard (??hand??) assembly and finishing'. This image was catalogued in the original Concertina Museum Collection (1990) as Item C973.